Would You Spend $50,000 On A Set Of Koenigsegg Wheels? The most advanced wheels since the invention of the wheel. We recently shared the awesome factory tour from Drive showing the inner workings of Christian von Koenigsegg's factory where some of the best hypercars the world has ever seen are created. The first video in the series focused on the all-new Koenigsegg Regera, the follow up to the hugely popular Agera. This latest video is a shorter one that takes a closer look at those amazing carbon fiber wheels made for the Regara. 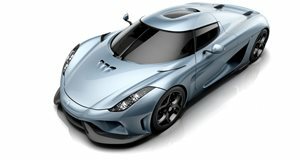 Koenigsegg truly is an innovative industry leader that happily sets the bar for others to follow. Inside the hospital-like factory Christian explains the ins and outs of the amazing new hollow carbon fiber wheels that are no longer function over form. These new wheels feature a different design to those on the Agera, which was the world's first homologated hollow carbon fiber structure wheel. The carbon wheels are extremely unique and the only ones of their kind on the market. The Agera wheels were pure engineering and made for a specific purpose, but the new ones actually have a design element now. This design could also only be done in the hollow carbon fiber and not aluminum because of the thickness of the spokes - an aluminum wheel would be very heavy and if you did manage to hollow it out, it would lose structural strength. These are the most advanced wheels possible, which is expected when you're looking at roughly $50,000 a set.